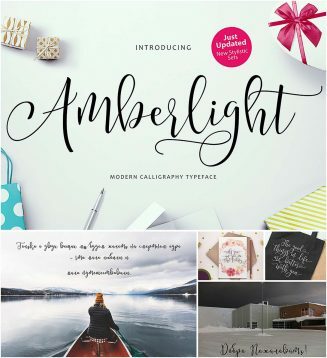 Introducing Amberlight Script – a new script with a sweet calligraphy-style and decorative characters. Cyrillic typeface made by Nastya Vishnevskaya. Perfect for invitations, greeting cards, branding materials, business cards, quotes, posters, and more! Free for download. Tags: calligraphy, cyrillic font, swash, swirl, typeface. Dear Yevgen, try again) It should work now. p.s.download button is in one line with social media icons(it’s green with arrow). Let me now how it works.